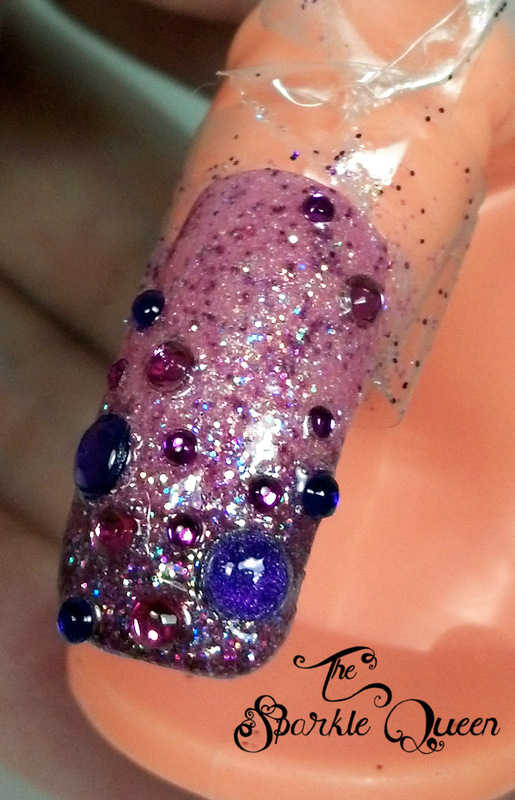 Sorry, I was distracted by all of the sparkles and glitter…..
I’m kind of in love with this incredibly blingy nail art look. If I can grow my nails out long enough to give this look a go, I will show you what a full manicure looks like. 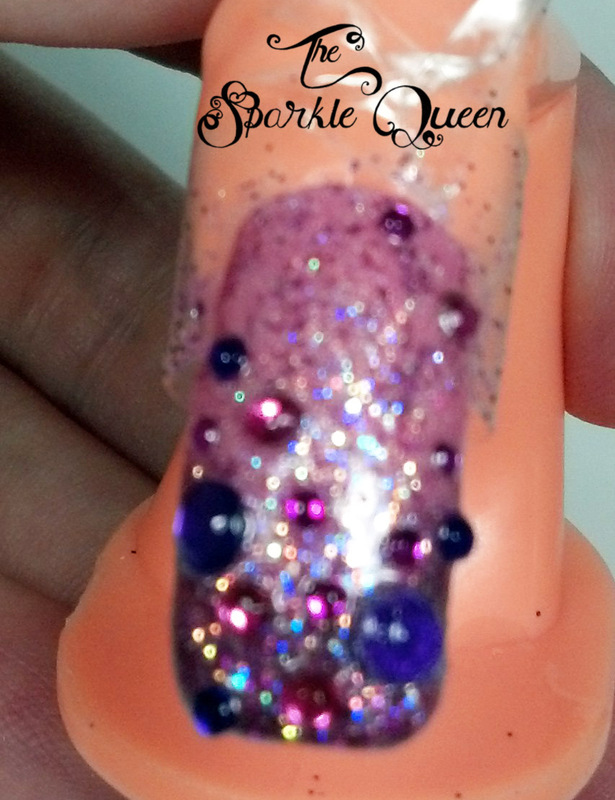 In the mean time, gaze into the incredibly glittery awesomness that this nail is! I know some of the pictures are a little out of focus, but that is mostly because you can REALLY see the glitter come through in those shots. I’ve also got a Youtube video tutorial of how I created this look if you are interested in trying it out yourself. 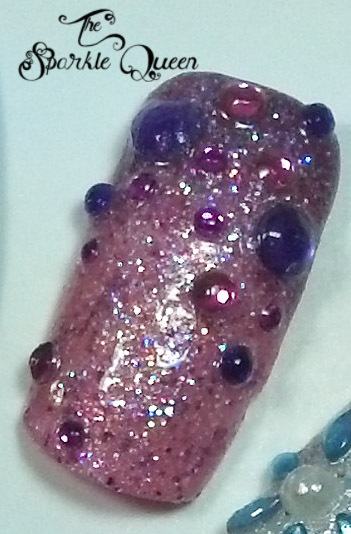 What other colors do you think this design would look great in?